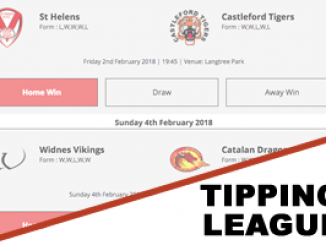 Who are in for Theo Fages? Will Sky Sports broadcast the Summer Bash? Why does Lewis Tierney face an international dilemma? Find out in the gossip column. St Helens half-back Theo Fages is currently being monitored by several NRL clubs. The France international has started the season in fine form for Saints and has been one of the best playmakers in Super League this season. He is keeping Danny Richardson out of Justin Holbrook’s side at the moment and his performances haven’t gone unnoticed. Australian outlet Fox Sports claim Fages is wanted by a number of NRL clubs. He is off-contract at the end of this season, but St Helens want to keep him. 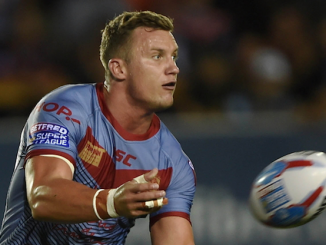 Sky Sports appear reluctant to broadcast this year’s Summer Bash due to it clashing with the historic game between Catalans Dragons and Wigan Warriors at the Nou Camp. That is causing the schedule of kick-off times to be delayed, though there are still hopes that a broadcast deal will be struck. Without that, it has been difficult to agree any sponsorship deals. Wakefield Trinity are looking to bring in a replacement for winger Tom Johnstone, who has suffered a season-ending injury. Johnstone has been ruled out for the rest of the season after rupturing his knee ligaments in last Friday’s win over Hull FC. Trinity coach Chris Chester has admitted that the club will look to bring in a player to plug the gap. 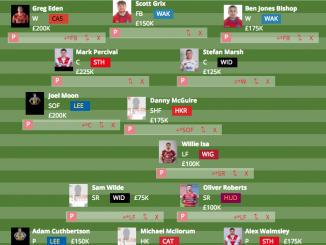 Former Trinity winger Mason Caton-Brown has been linked with a return, or could Krisnan Inu also be on Wakefield’s radar? Leeds’ hopes of signing Ava Seumanufagai look to be dead in the water now, with the forward not wanting to leave Cronulla Sharks. The New Zealander, who is of Samoan descent, has been heavily linked with a move to the Rhinos over the last couple of months but the move now appears unlikely because he doesn’t want to relocate his family. Leeds were also interested in Sam Kasiano, who has recently made the switch to Super League but with Catalans Dragons. 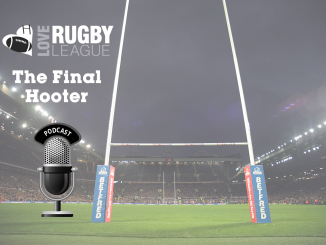 Rhinos boss Dave Furner is desperate to add some grunt to his forward pack, but there aren’t many players on the market at present. Catalans Dragons full-back or winger Lewis Tierney faces a tough call regarding his future on the international stage. The 24-year-old made his debut for Scotland in 2016 and has earned six caps for the Bravehearts, scoring two tries. His paternal grandmother is Scottish and that’s how he qualifies to play for the country. But Tierney is also of Jamaican heritage through his paternal grandfather. With the Reggae Warriors becoming the first Caribbean nation to ever qualify for a Rugby League World Cup, could Tierney switch allegiance? He has a while to think about it yet, with the next World Cup in 2021. Will he represent Scotland or Jamaica? He’s got a big call to make. Clubs were asked whether they wanted the 1895 Cup final at Wembley after the Challenge Cup final, or for it to be held elsewhere. It was decided to be played at Wembley. 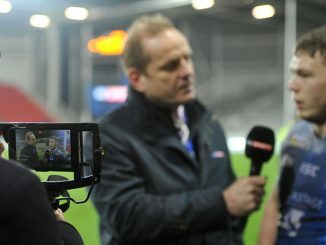 The offer of a second game on the day by Wembley was based on it being at a certain time, while BBC Sport were also consulted to ensure they could have the traditional build-up to the final.